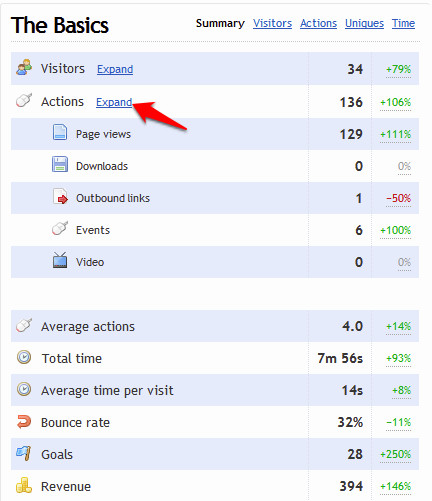 On your dashboard you will see 'visitors' and 'actions' by default. For most sites, the vast majority of actions will be page views, typically 90% or more. You can view the breakdown of all actions types on your dashboard, by clicking the 'expand' link as shown below.